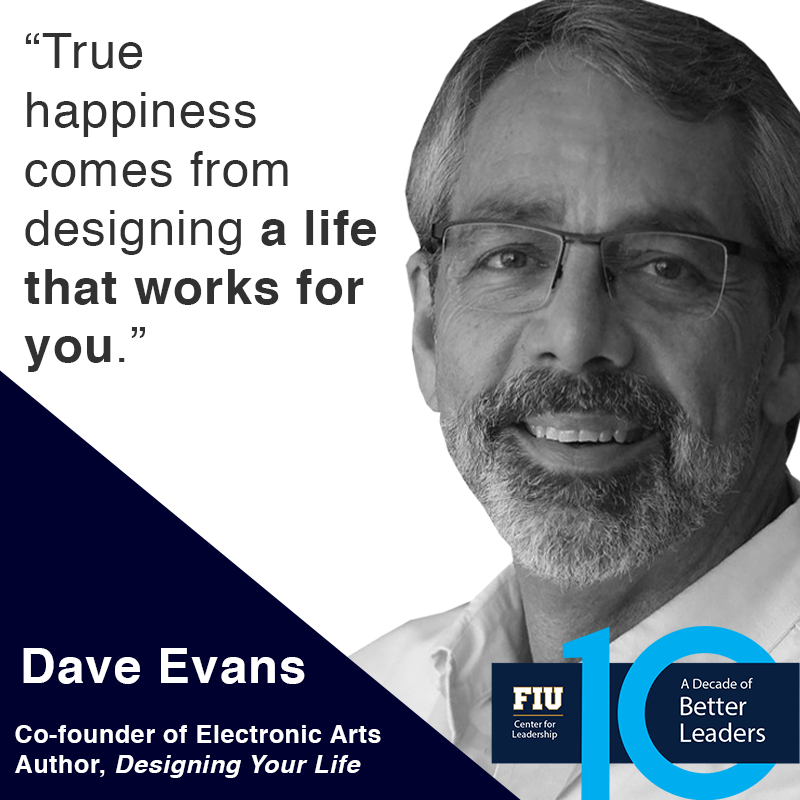 Dave Evans, co-founder of the Stanford University Life Design Lab and former Apple executive, will present his lecture, Designing Your Life, sharing insights from his popular Stanford course and NY Times #1 bestseller of the same name at The Leadership Lectures. The Lecture is presented by the Center for Leadership at Florida International University, January 25, 2018, from 9:30am-10:30am, at the FIU Graham Center Ballrooms. The event will be followed by a reception and book signing. Evans served as an executive during Apple’s early years, was on the founding team of gaming giant, Electronic Arts, and then went on to consult for startups and multi-nationals alike. Eventually Evans discovered his true passion was helping people discover and create the life and career they really wanted. That realization led him to UC Berkeley where he taught the course, “Finding Your Vocation”, and in 2007 to Stanford where he co-founded the Life Design Lab with Bill Burnett. Their 2016 book, “Designing Your Life,” is now in its 15th printing. Evans earned his bachelors and masters degrees in Mechanical Engineering from Stanford and a graduate diploma in Contemplative Spirituality from San Francisco Theological Seminary. The Leadership Lectures series feature world-class, accomplished and influential leaders with expertise ranging from business and philanthropy to public service and academic research. The Lectures provide the South Florida community with access to the expertise, advice and best practices of some the world’s foremost leadership minds and are open to the general public at no cost thanks to the generous support of Mercantil Bank. Registration is however recommended to ensure seating.